One of the many necessary life skills every child needs to learn is brushing his or her teeth but that is often easier said than done. It can be difficult to get toddlers to willingly do things they’re supposed to do and that includes brushing their teeth. Toddlers are drawn to anything that is fun to them to think about how to make brushing teeth fun for toddlers. Here are 3 simple steps you can take to make brushing teeth fun for toddlers. Kids respond to routine and the more ingrained you can make a routine, the easier it will be. You may be tempted to let your child skip brushing after a long & tiring day or during times when your normal schedule is off but stick to it. Of course, a routine doesn’t have to be something that is boring. Make your routine into a fun event that your child will enjoy by cranking up your child’s favorite song and having a two-minute dance party with them. You could also use brushing apps or videos to make the time fly by for your little one. You could also try reading them a 2-minute story to keep them focused on something other than just brushing so it isn’t boring for them. Get creative and add some fun into the routine! If you’re simply trying to get your child to cooperate while you brush your teeth, why not let them brush their favorite stuffed animal’s teeth? This will give them a job to do while you’re brushing their teeth and give them a sense of responsibility. 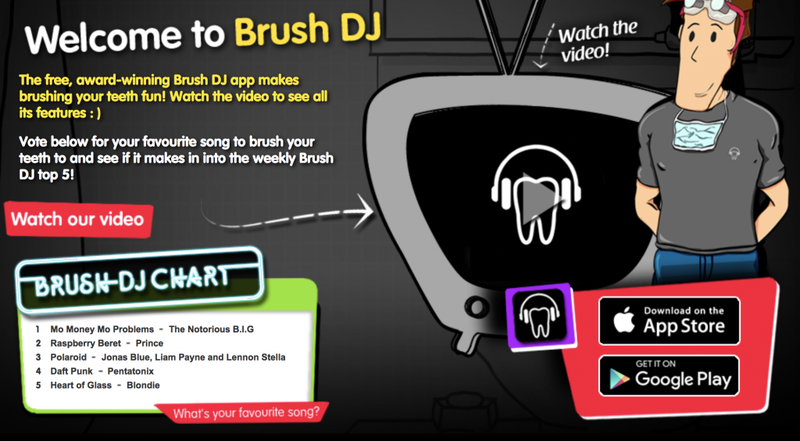 You could download an app that gamifies brushing for kids like Brush DJ or Star Teeth. Brush DJ plays two minutes of music while the brusher races against the clock to get a clean mouth before time is up. Toddlers love a good challenge, which is why “I bet you can’t clean up all your toys in under a minute” works. Star Teeth allows kids to pick a character and brush along with them while encouraging them to keep going. Positive reinforcement is great at getting kids to develop healthy habits and brushing their teeth is no different. Consider what motivates your child and create a reward that’s perfect for them. If your toddler loves stickers, make a reward chart and let them add one right after brushing. If your toddler loves reading and being read to, let him pick out the bedtime story after they’ve brushed their teeth. Rewards don’t have to be elaborate to work! You’ve already learned how to make brushing teeth fun for toddlers but there are some simple adjustments you can make to make the process easier for both of you. Try using warm water instead of cold water. Sometimes the shock of cold water can put kids off of brushing their teeth altogether. Let your child choose a new toothpaste flavor to see what they like best. Not only does this help you find a toothpaste that they like, but it also provides them with a sense of control and agency in the situation. If your child doesn’t like the feel of a toothbrush, start off by using a washcloth to help your little one get used something touching and cleaning their teeth. Once they’re used to this, step up to a soft-bristled toothbrush. If you’ve been wondering how to make brushing teeth fun for toddlers give these tips a try and let us know what works for you!